A phenomenal and beautiful Album from beginning to end! 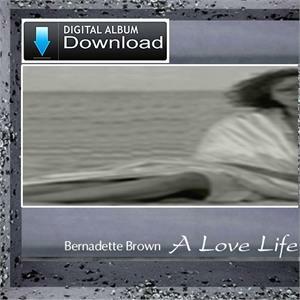 The ultimate Artist... Bernadette's music travels from Pop, to Adult Contemporary, to Jazz, along with other Guest Wrtiers. The Voice is Original, romantic, smooth, soaring & will warm your hearts. This Album debuted on the night of Bernadette Brown's opening stage performance for the Legendary O'Jays, at the Palace Theater in Stamford, CT. A night to remember! Whether you're listening to this Fan favorite Pop Ballad opening track, "In The Wind Of Your Love," or the 'on-air' inspired Wedding song, "Romancing The Dance," there's something there for Everyone! With a treasure list of the top Musicians in the Music Industry today... it all comes together in true, creative & timeless style. A must have! Everyone deserves A LOVE LIFE!